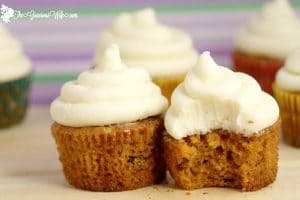 These moist Carrot Cake Cupcakes with classic cream cheese frosting are delicious, rich, and moist. Truly the best carrot cake I’ve ever had. 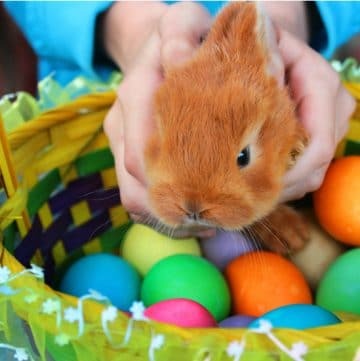 It’s getting to be almost Easter-time, with all things bunnies, carrots, and eggs! 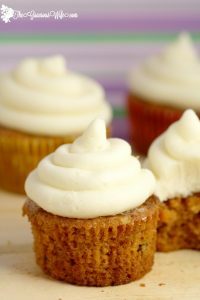 So I wanted to share a classic moist carrot cake cupcakes recipe with you today! Moist carrot cake cupcakes are a simple treat, but they’re still packed with delicious-ness and Easter spirit. I adapted this recipe from Southern Living. They called their recipe “Best Carrot Cake.” And, boy! They weren’t kidding! This is truly the best carrot cake I have ever tasted. It’s moist, sweet, and flavorful! I think the trick is the buttermilk! This recipe has a lot of buttermilk in it, but don’t fret if you don’t have any on hand! 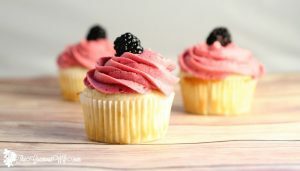 I have this super easy Buttermilk Substitute that does the trick (In fact, I used it for the cupcakes pictured here, and they turned out fabulous!). Before we get down to business, I just wanted to make a note about the carrots. Make sure they are finely shredded. 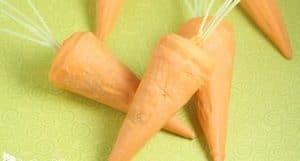 I processed my carrots to make sure they were fine crumbs. Don’t process too much. You don’t want puree, just teeny tiny pieces. Because there’s nothing worse than a salad masquerading as a cupcake! Am I right?! When the moist carrot cake cupcakes are cooled, you can frost them with this cream cheese frosting recipe I used for my Strawberry Cheesecake Cupcakes. It’s a very stiff cream cheese frosting, so you can pipe it, if you’d like, and it will stay pretty for you. Please note that cream cheese frosting does need to be refrigerated! 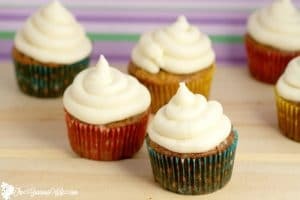 These moist Carrot Cake Cupcakes with cream cheese frosting are delicious and moist and truly the best carrot cake I've ever had. See my cream cheese frosting recipe here! In a mixing bowl, stir together the flour, baking soda, cinnamon, and salt. In a large mixing bowl, beat eggs, sugar, vegetable oil, buttermilk, and vanilla with a mixer until smooth. Add the flour mixture to the egg mixture and mix until just combined. Fold in carrots, pineapple, and pecans to incorporate. Line a lightly greased muffin tin with cupcake liners. Fill each cup 2/3 of the way with batter. Bake in 350° oven for 15-25 minutes, or until a toothpick comes out clean. While the cupcakes are baking, mix together sugar, baking soda, buttermilk, butter, and corn syrup in a medium saucepan over medium-high heat. Bring to a boil, and allow to boil for about 5 minutes. Pour about a tablespoon of the glaze over each warm cupcake. Allow cupcakes to cool and glaze to set. 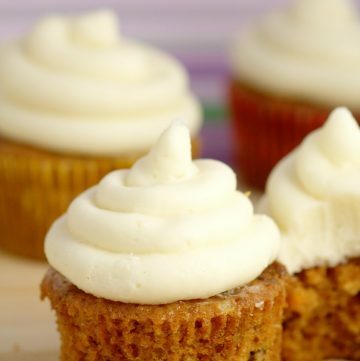 When the carrot cake cupcakes are cooled, you can frost them with this cream cheese frosting recipe. It's a very stiff cream cheese frosting, so you can pipe it, if you'd like, and it will stay pretty for you. Please note that cream cheese frosting does need to be refrigerated! 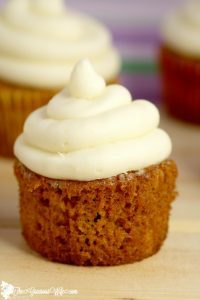 Did you like this Moist Carrot Cake Cupcakes recipe? Find more on my Cakes & Cupcakes, Easter, and Desserts boards on Pinterest! 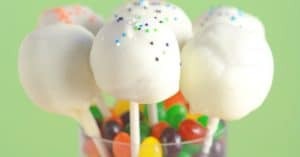 POPPING OVER FROM The Makers Link up party =) These look delightfully delicious! Be sure to share your recipes, crafts, upcycles & DIYs at Two Uses Tuesday (Mon 8pm EST to Fri 11pm EST) over at Sarah Celebrates if you don’t already! 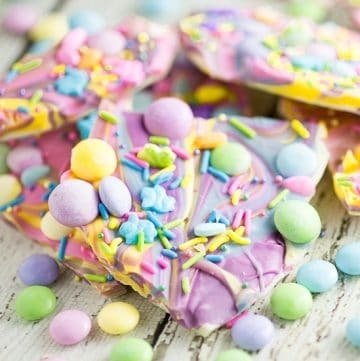 Those look delicious and perfect for Easter! Your carrot cake cupcakes looks so delicious. Thanks so much for sharing your recipe. Oh YUM! My husband LOVES carrot cake!! Thank you for linking up at Family Fun Fridays. 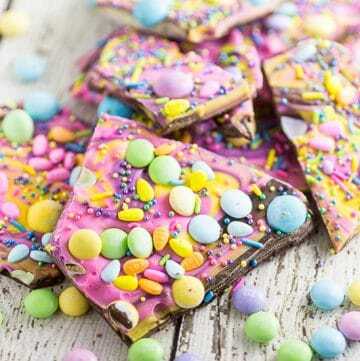 As the food hostess, I am so excited to share this post—your recipes are perfect for our Easter lineup! 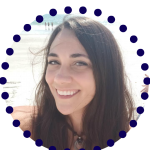 Please stop by brittalafont.com Thursday, April 2, after 1pm (PDT) and grab your “I was featured” button. Already pinned it! I plan on making these in mini cupcake form. I looked at the recipe for the cream cheese frosting….would this recipe be way too much for mini cupcakes? 3-1/2 pounds of powdered sugar would be 14 cups…… could I cut the cream cheese frosting in half for the mini cupcakes? Also, I probably would bake the minis for 8 to 10 minutes? Being that these are moist, would I still use a toothpick in the center to check the doneness? Sorry for all of the questions but I need to know. Yes, it is A LOT of frosting. I would probably cut it half. And I would say that that’s probably right for cook time. I would at least start checking them at about 8-10 minutes. You can still check these with a toothpick, as they’re moist but shouldn’t be gooey. You could skip it, but I don’t really recommend it. It’s part of what makes them so moist, and you can’t really taste it in the cupcakes either. But if you really, really hate it, you could try subbing it out with an equal amount of applesauce. Hi, this looks delicious, I have a question though, can I leave out the buttermilk? Or what can I substitute it with? I was think Chai Latte ice-cream? It has spices in like cinnamon, nutmeg, cloves…or would it not work with the cupcakes? I’m not sure if that would work, as I’ve never tried it. There’s an easy buttermilk substitute linked above that I know works that you can try. Have you tried freezing these after adding the glaze but before topping with the frosting? I actually haven’t frozen these, but I think you could freeze them before or after you add the glaze. Just make sure they’re wrapped tightly. Usually a cake sunk in the middle means that it didn’t bake long enough. Did you check them with a toothpick before removing? I made this recipe for Easter again this year, and didn’t have problems. I measure my flour in cups, though, too. So I know that can make a difference. Hi Michelle. I checked both batches with a cake tester and they were cooked. I cooked 12 at 350F for 15 minutes and these cooked but were very soft and did sink badly and spread more. With the other 12 I did what I do with my muffin recipes and first baked for 5 minutes at 440F and then 390 for 10 minutes. These were firmer, didn’t spread as much but also sunk slightly in the middle. Both batches browned beautifully. I’m going to try adding more flour the next time. How would you describe the consistency of the batter? I’m from South Africa by the way! Hi! I don’t understand. Should i use the buttermilk glaze & the frosting together? Or it’s just one of both? Thank you!! The buttermilk glaze get brushed on top of the cupcakes to keep them moist. Then you can frost them normally with the cream cheese frosting.